When a bar or restaurant features craft cocktails on the drinks menu, patrons know to prepare their taste buds for a spirit-filled adventure. In 2017, we're saying goodbye to the standard well drink menu and hello to beverages that are raising the bar! Worldwide societal trends like the increased focus on health and boost of interest on sustainability has elevated the expectations of customers thereby raising the standards of the drinking sector. According to CGA data, premium-spirit sales are showing an upward trend of 19% while mainstream spirits are experiencing growth of only 2%. Forget the phrase "you are what you eat", because according to the top cocktail trends of 2017, "you are what you drink"! As consumers say "no" to GMO's, businesses are switching their focus to natural ingredients. Cocktail mixer brands like Funkin are looking for opportunities to use plant-based sweeteners such as stevia. Pure Wild Spirits, a new drinks group, takes the use of natural ingredients a step further by offering a spirit distilled from birch sap. Tree flavored cocktails aren't earthy enough for you? How about health conscious drinks that feature ingredients directly from the earth? The shifted focus on sustainability and health has increased the popularity of unrefined cocktails. These cocktails feature freshly foraged edible plants and an awareness for minimizing waste. Some of these cocktails even feature cold pressed juices, aloe and coconut water. Sounds like the juice bar at Whole Foods may have some competition! As we move further into the digital age, this next cocktail trend is keeping up with technology. The technique of rapid infusion cocktails uses nitrous oxide to quickly capture the top notes of flavor in a matter of seconds. No more waiting for the busy bartender to shake, stir, muddle and strain. Now you can have your craft cocktail with the push of a button without having to cancel your arriving uber. While some prefer their bar experience to be as efficient as possible, others are visiting the bar to partake in the theatrics. Trending in 2017 is a timely and flavorful cocktail served with a recreational experience. Singapore's Tippling Club did just that. It launched a drinking experience that placed a higher importance on scent over taste. A trend that will no doubt renew the bartender-guest relationship. Interested in getting to know your bartender a little better? How about becoming a fan of your bartender's batches and infusions? The trend toward house-infused ingredients is gaining traction on the London cocktail scene. These spirit artists are infusing their cocktails with flavors that feature bacon, cheese and bitters. Subsequently, these infusions are being offered in bars and restaurants. Sampling your bartender's home-made creation sounds like the start of a beautiful and flavorful relationship. 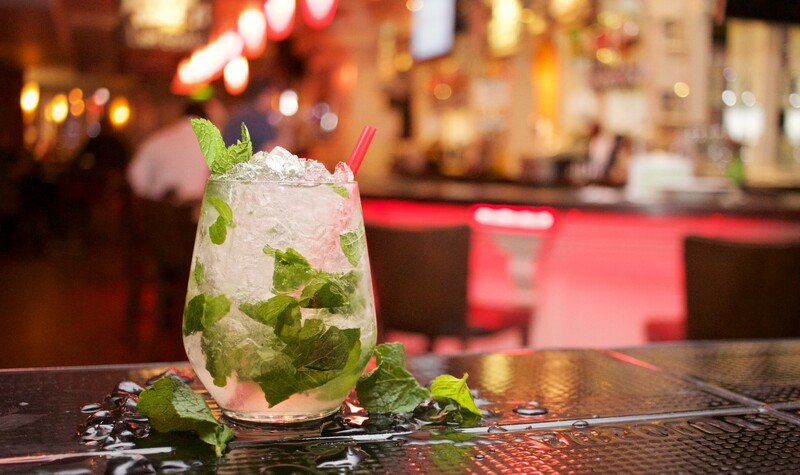 Next time you visit your neighborhood bar, look for some of these trends to try! Having an open mind and a welcoming palate never goes out of style.